Jagmeet Singh rejects his own MP's call to halt extradition of Huawei executive to U.S.
NDP Leader Jagmeet Singh has walked back comments made by one of his MPs who said the arrest in Canada of Huawei executive Meng Wanzhou was politically motivated and Canada should not extradite her to the U.S.
NDP Leader Jagmeet Singh is rejecting a suggestion by one of his MPs that the arrest in Vancouver of Huawei executive Meng Wanzhou was politically motivated — and Canada should not extradite her to the U.S.
NDP MP Don Davies, who represents the B.C riding of Vancouver Kingsway, published on his personal website Tuesday a post arguing it's "very clear" that the U.S. requested Meng's arrest for political reasons and that Canada should not be "manipulated by Donald Trump." The same day, he called a news conference to repeat his argument — a move that put him offside with his party's position on the case. "We now have strong evidence that this is a political issue, disguised as a legal one," Davies said Tuesday. "We know that our own prime minister was notified of her arrest, which is a highly unusual political step, not taken in the ordinary course of a typical extradition case. "More troubling, we have confirmation from the head of state from the country seeking extradition that he's prepared to use an individual as a bargaining chip in a larger geopolitical trade dispute involving a third country." After Meng's arrest, U.S. President Donald Trump openly mused about intervening in the case if it would help his country's security or its trading relationship with China. 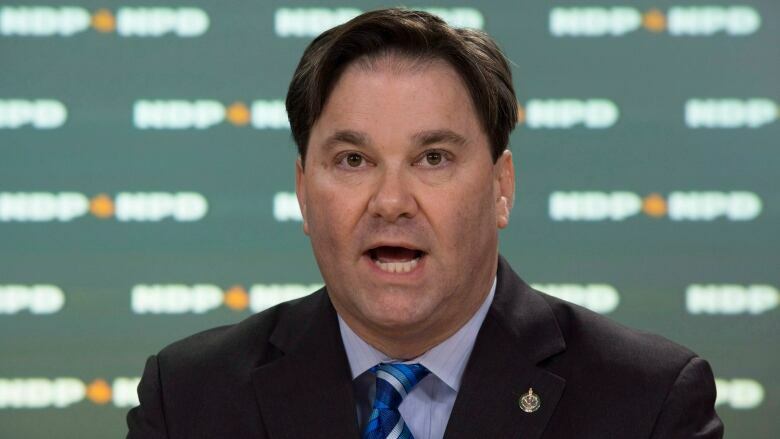 In an interview on CBC News Network's Power & Politics Today, Singh rejected Davies' argument, saying his party supports following the rule of law. "No, we've made our position clear in terms of following the rule of law, and any time we're in these circumstances we should follow the right practices when it comes to following through on all procedures and due process," Singh told host Vassy Kapelos. "He's, I think, expressing frustrations around Mr. Trump, but I've given you our official position." Canada has faced a wave of criticism from Chinese officials and state media since Meng, a top executive with China-based telecom giant Huawei, was arrested in Vancouver earlier this month. Meng was arrested at the request of U.S. officials — who accuse her of violating trade sanctions on Iran — and released on bail pending extradition proceedings. Not long after Meng's arrest, Chinese officials confirmed that two Canadian men had been detained in China on national security concerns. One of the two men, Michael Kovrig, served as a diplomat with GAC but was on leave to work with the International Crisis Group, a non-governmental organization, at the time of his arrest in China. The other, Michael Spavor, is a businessman who arranges tours of North Korea. More recently, Alberta teacher Sarah McIver was sentenced to what Chinese authorities call "administrative punishment" for working illegally in the country.